I finished the 2014 Coffeeneuring Challenge with a weekend to spare, thanks to some super nice Veterans Day weather. Here’s the run down of my seven excursions. Trip No. 1: This trip was facilitated by a gift certificate that was burning a whole in my wallet for two months. The Grounded Coffee Shop was a fun, family friendly place located on one of the least bike friendly roads in Fairfax County. The coffee was good. The soup was outstanding. The bike parking non-existent. Still I’ll go back if only to finish off my rest of my gift certificate. Trip No. 2: Back in my New England days I lived on Dunkin Donuts coffee and chocolate chip cookies. So I thought I’d give it another go during the challenge. Maybe my tastes have changed but I thought the coffee was lousy. Not a very good choice. Sorry, Dunks. I;m over you. Trip No. 3: Bread and Water is a new bakery next to my local bike store. It’s kind of a discombobulated shop but they make excellent bread and the coffee gets a passing grade. This one is worth checking out. It’s about 1/2 mile off the Mount Vernon Trail in the Belle View Shopping center. Trip No. 4: I had intended to go to Old Town to eat some fish and chips. By the time I got there, my stomach had changed its mind. So I walked across the street to Bittersweet Bakery. It took forever to pay for the privilege of serving myself watered down Swings coffee. Skip this one. Trip No. 5: Peet’s has expanded into the suburban car nightmare known as Hybla Valley. This is what they call Mount Vernon when you get away from the trees and hit Richmond Highway. I can’t say that Peet’s is bad coffee. The place had a decent enough vibe, but the area is soulless and worth avoiding. Trip No. 6: Mount Vernon may be the home of George Washington but the food court there needs some decent coffee STAT. Not a bad ride though. Trip No. 7: This was more like it. All my other Coffeeneuring excursions had been solo affairs. 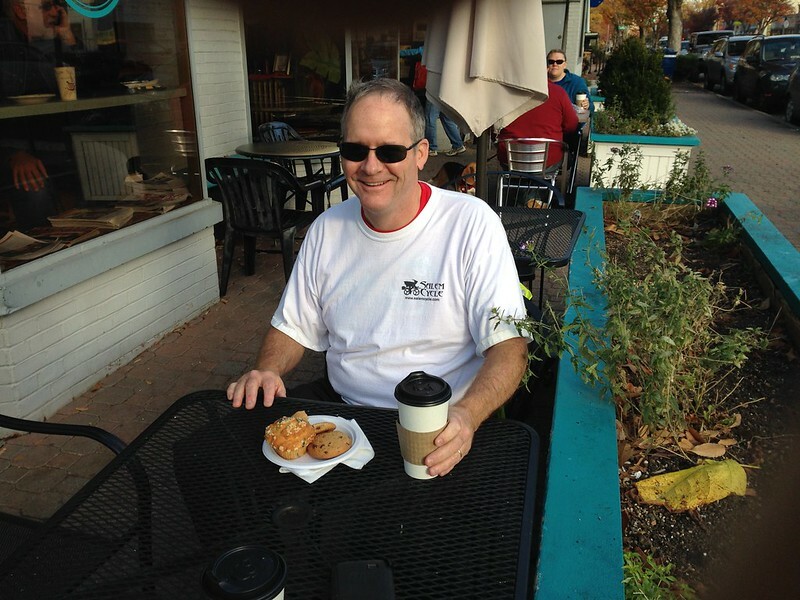 Bob “Don’t Call Me Rachel” Cannon decided to post a coffee get togther on Veteran’s Day morning at St. Elmo’s Coffee Pub. I really like the vibe of this place. The neighborhood is very bike friendly too. They even have a bike corral on the street in front of the shop. The coffee’s not bad either. 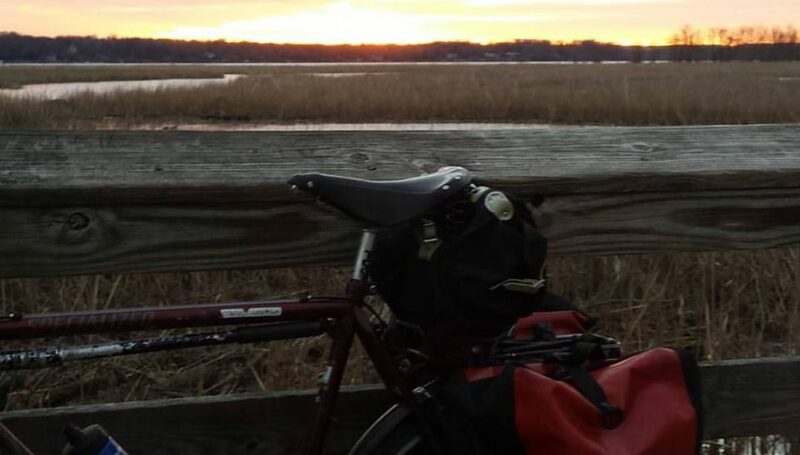 Posted on November 12, 2014 November 12, 2014 by rootchopperPosted in CoffeeneuringTagged coffeeneuring.